These are to be found on vehicles bodies where dust and water are to be kept out, eg., Around doors and luggage compartments. 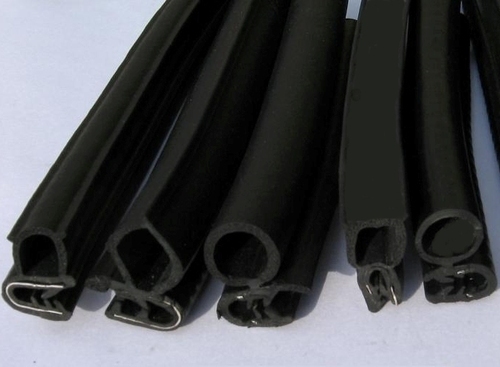 The rubber tubes generally sponge rubber are made of synthetic materials of high quality which provide the hard wearing and elastic characteristics required. The rubber profile is technologogically bonded to a PVC profile having a metal insert to permit quick fitting to the body.